For 2019 we’ve worked really hard and feel that we’re one step closer to having the best scaled down BMX bike available. The 16” Neo has had many refinements in the geometry and tubing like a smaller head tube, taller bars, smaller overall diameter tubing, and even a smaller 22mm OD seat post! These changes help to make the whole bike look proportional rather than thick and bulky, which we felt was very important. On top of that, we have never been a fan of pinch bolt cranks, so we are happy to have the clean Trebol Bueno cranks on all our bikes including this one! The one BIG addition for the 2019 Neo that we’re super proud of is the signature 16” Ruben Alcantara Rampera tire that we dropped in to produce to really dial in this bike! 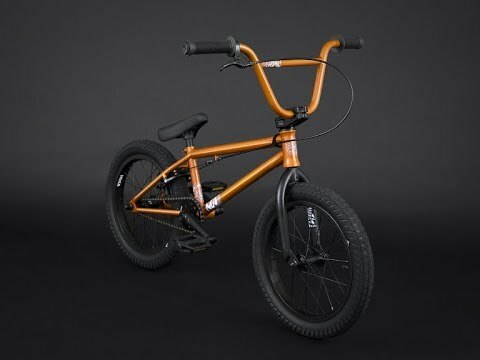 Wrapping things up, the 2019 Neo comes in an amazing gloss metallic orange and the classic all-black version that any little kid would be stoked to have!